RMT calls for halt to staff cuts as new BTP figures show knife crime has tripled on Britain's railways. 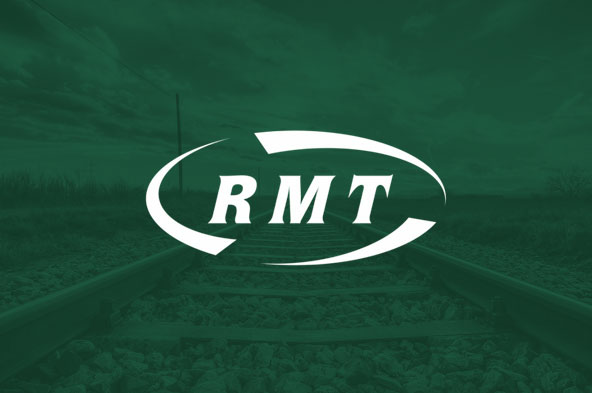 RAIL UNION RMT today called for a halt to staffing cuts on stations and platforms, including the removal of guards, as shocking new British Transport Police figures show that knife crime on Britain’s railways has more than tripled in the past four years. According to the British Transport Police (BTP) it recorded 1,059 offences involving a knife or bladed article in 2018, up from 338 in 2015. There were 417 in 2016 and 632 in 2017 - illustrating the rising tide. The number of people caught carrying a knife rose steeply. Possession of an offensive weapon increased more than five times from 24 in 2015 to 136 in 2018. There were 57 recorded instances in 2016, and 52 in 2017. Figures for having an article with a blade or point in a public place rose from 103 in 2015, to 164 in 2016, 222 in 2017, and 387 in 2018. The appalling new figures come just a fortnight after the BTP revealed that violence on London Underground has increased by nearly 50% over a similar period. The BTP have offered the explanation that the increase is down to knife-armed drug gangs utilising the rail network to ferry supplies around the country - an alarming development that will send shock waves through an industry where staff and cost cutting are rife leaving the network vulnerable to exploitation by criminal gangs. “No one can now seriously argue that there isn’t a rising tide of violence on Britain’s railways and these latest shocking BTP figures are borne out by our members day to day experiences at the sharp end of the transport network. “These statistics reinforce a pattern of increasing abuse and violence on our trains and platforms and should serve as a wake up call to both the Government and a number of the train operators who are ignoring this brutal reality. “Staff are the eyes and ears of the service , axing them in the drive towards an automated and faceless railway in the name of profit gives a green light to the thugs and criminals and it is grossly and dangerously irresponsible.